Measurements are often a better guide than age to help you choose the correct size for your child. Use our handy measuring guide to find the perfect fit for their school uniform. If your child is taller than average, it is advisable to order the next size up on tops or trousers. 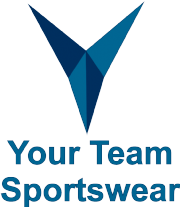 Our uniform and sportswear garments are generally designed for best fit. For example, if your child measures 28 inches, then that is the size that we recommend that you buy. If your child is between sizes, then we recommend that you buy the next size up. Chest: Place the tape underneath the arms and measure loosely around the chest at widest point. Hips: Measure around the natural hips. 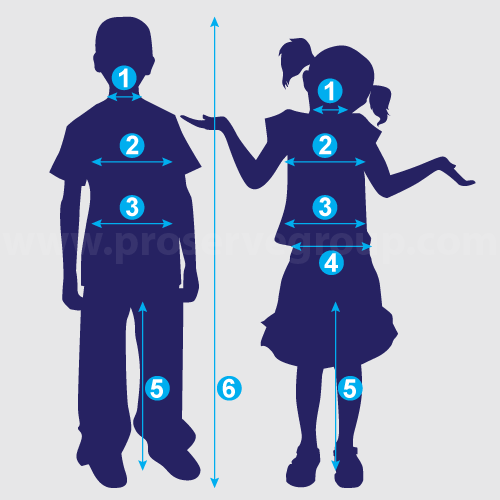 Height: Without shoes, stand with feet together flat on the ground and measure from the floor to the top of the head. Please see our visual guide (below) for an idea.